Last Thursday night, July 10, brought a night of art, alphabets, good conversation and good wine to Alphabet HQ in Surry Hills. The opening night of our exhibition A Collection of Characters went down a treat, thanks the all the hard workers who made it happen and the good sorts who turned up for a squiz! Team Alphabet ultimately set ourselves the task of tackling something very dear to us, the Alphabet! 26 letters became 26 works, each with their own unique characteristics. We interpreted our letters from our own perspectives, making Queens from our Qs and bottoms from our Bs. The result: a delightful mish-mash of individual characters who somehow came together to tell a story. Our story. As the night rolled on we were very pleased to see the red dots start attaching themselves to our humble creations. All proceeds from the sale of works go straight to the Indigenous Literacy Foundation: a not-for-profit charity working to improve the literacy levels of Aboriginal and Torres Strait Islander children living in remote communities. This is achieved through the delivery of books and literacy resources, publishing and visits out to isolated areas. They’re a fantastic organisation to get behind and entirely appropriate to the alphabetical theme of our exhibition. 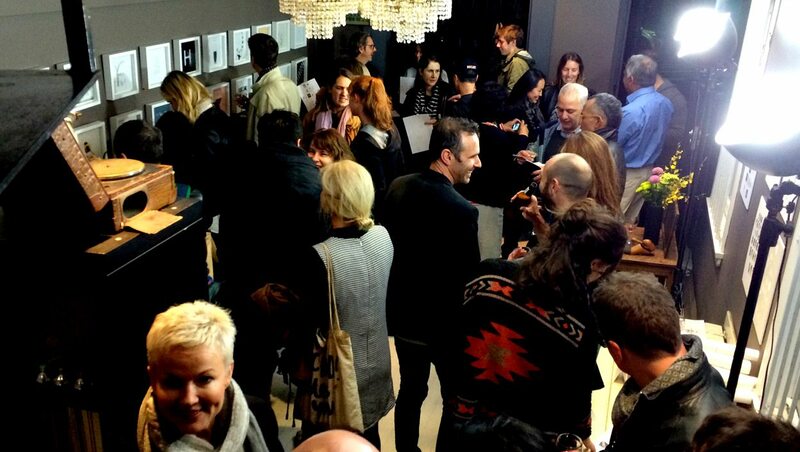 Once again, a big big thanks to everyone who came down to the opening night of our very first exhibition. 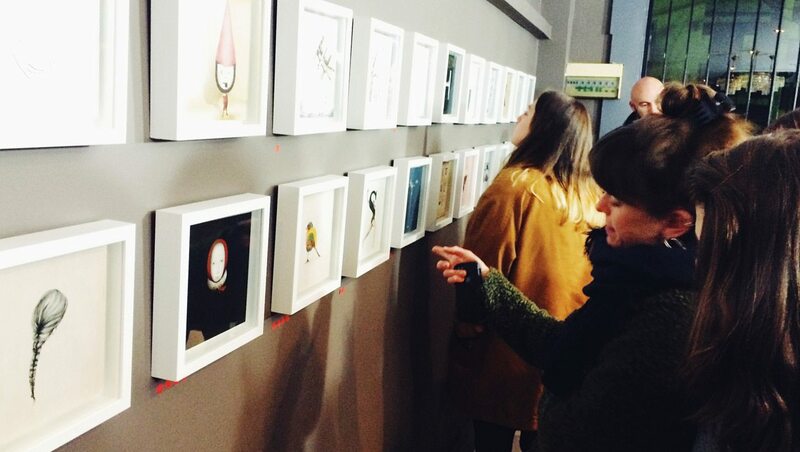 If you’d like to peruse the full collection of work from the event, head to our website. All works are available for sale as 20 x 20cm prints for $50. We also have a small selection of framed works still available for $75. Please don’t hesitate to email us at mail@alphabetstudio.com.au if you’d like to take one (or a collection!) of our characters home.